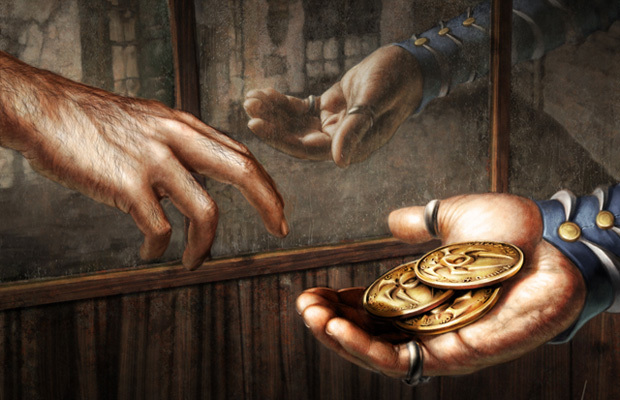 Editor’s Note: Danny’s ProTrader article this week is a great piece for anyone looking to turn their Magic hobby into a money-making enterprise, or at least using it to offset costs. We wanted to share this excellent piece with everyone, so it has been unlocked early for your enjoyment! If you enjoy this piece, we hope you’ll consider signing up for a ProTrader account, where you’ll have access to more high-quality pieces like this every day of the week. Hobbies are important. They’re good for the psyche and for the soul. I have several myself, and without them, I would be bored more often than not. Hobbies also cost money, and that’s okay. Yes, frugality is a virtue many of us could probably use a bit more of to varying levels, but it’s also possible to overdo it. I have some friends that absolutely refuse to spend any money at all, and it’s very frustrating. Yes, game nights, Netflix, and home-cooked dinners are great, but not when they’re the only things you ever do for fun. Setting aside some monthly entertainment dollars for eating out, events, concerts, and other purely-for-fun activities shouldn’t be guilt-inducing, at least in moderation. Then again, I do understand where these friends are coming from. I hate spending more money than I have to for a given experience. For example, I’ve spent $60 on a videogame exactly twice in my entire life (Dark Souls and Bloodborne, in case you’re wondering), and this is no coincidence. 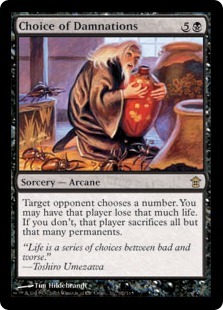 I’ve previously discussed patience in making purchases, and that doesn’t just apply to Magic cards. Waiting a few months to buy a videogame will save someone $20 to $40 every single time, and I have taken that path in all but two cases in the last ten years (and by the way, I have no regrets on those two cases. It’s important to realize when you’re willing to pay more for a better/sooner experience). The importance of patience, though, is something I’ve covered before, and besides, it’s more related to minimizing one’s costs in a hobby than it is to today’s actual topic. In case you didn’t get it from the not-so-subtle title you presumably clicked on to end up on this page, there is today’s topic in all of its Heading 2 glory. There are things you have been doing presumably for fun, for free even, and I’m here to tell you: there is little more satisfying than turning the time and effort sunk into those pursuits into actual, real-life currency. Reading: write critical reviews for a publication; buy, sell, and trade used books for profit. Gardening: sell your produce at a local farmer’s market; teach classes to fledgling gardeners. Weight lifting and other exercise: try dabbling in personal training; start a YouTube fitness channel. Individual sports (biking, bowling, golf, tennis, etc. ): enter tournaments of the appropriate level and crush the competition; coach novices to do the same. Crafts: sell what you make; teach others to make cool stuff. Creating items or services to sell (or buying and selling for profit). Teaching or entertaining through content creation or classes. In both cases, one requires a certain level of expertise in the hobby in question. That means that you probably won’t be able to monetize new hobbies right away, and if you have a lot of leisurely pursuits, you may not be able to monetize all of them. So focus on the ones that you know best and that cost the most amount of money to maintain. The main danger of monetizing one’s hobbies is that all of a sudden that thing you used to do for fun has become a job. Jobs are not fun—that’s why employers have to pay us money to do them. So how do you make money from your hobbies without them devolving into drudgery that is no longer fun? My biggest tip in this regard is to not allow yourself to be dependent on the income you’re producing. Yes, it’s nice to make money from Magic, but the moment I am depending on Magic to pay my bills is the moment that I add a serious amount of stress to the hobby. Therefore, I balance my finances by assuming I will make no money from Magic. Anything I do make I see as a bonus. Another great part about not depending on income from a monetized hobby is that if it does become tedious at any point, there’s nothing keeping you from taking a step back for some time. Once you extend your financial balance to include income from your monetized hobby, you give up a lot of the ability to take a break on occasion. It’s much better to keep one’s options open. Chances are that as an MTGPrice ProTrader, you have already monetized the game to some extent. Maybe this means you’re making profit, or maybe it just means you’re playing with cards that are worth much more money than you’ve actually spent on the game. Win one or more tournaments with large prizes (e.g., the Pro Tour or a Grand Prix). Win lots of tournaments with small prizes (e.g., FNM). Backpack grind: trade every chance you get, making extra value in more trades than not. Maybe you’ll sell your cards every once in a while, or maybe you’ll just end up with a sweet Legacy deck for the price of a Standard deck. 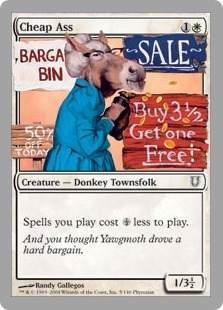 Buy cards at their low points and sell at their high points to buylists, or through eBay or TCGplayer. Take #4 a step further and open your own webstore for buying and selling cards. Take #4 and #5 a step further and open your own brick-and-mortar store for buying and selling cards and running tournaments (once you get to this point, you’re probably past the point of monetizing your hobby to the point of opening a business, but this is the end-game for many value-minded players). Buy collections and large bulk lots and pick out the value cards, á la Ryan Bushard. Become a judge and get compensated for attending and officiating events. Write Magic articles! There’s a ton of niches: finance, competitive strategy across a number of formats, community issues, theory, flavor critiques, casual format highlights, and so much more. If you can put words together in a reasonably aesthetically pleasing manner, it’s just a matter of finding your slot—or creating your own. Record Magic videos: Magic Online provides a great way to record Limited and Constructed events, but content producers like Tolarian Community College and Evan Erwin prove that it’s possible to make engaging and fun Magic content without gameplay being involved at all. Start a Magic podcast. You probably already listen to a few. That doesn’t mean you can’t start your own (assuming you have interesting things to say). Players like NumotTheNummy have proven that streaming on Twitch.tv can be a full-time option if you have the skills and personality for it. That’s more of a job than a monetized hobby, but streaming a couple nights a week and gaining a few subscribers is in the spirit of this exercise. These are a dozen fine options that cover a wide range of skills and commitment levels, and I’m sure there are many other solid ways to make a little extra cash from your favorite card game. You know what you’re good at, so take those skills and turn them into something of value. “Sure thing” is just a shorthand of course, as 100-percent surety is a bit of a mythical beast, but some actions are more likely to pay off than others. Take Tasigur, the Golden Fang, for example. The card is down to around $6 now, which is pretty low for a card that has proven to be a high-power inclusion in both Modern and Legacy. I wouldn’t deign to say that a certain price is a “sure thing,” but I’m more or less comfortable with the idea that this is virtually certain to be profitable if bought at this price point (and I have been requesting as many as I can get on PucaTrade as a result). Or maybe you want to create some content, and you’re faced with how to get it out to the world. You could start your own site, which requires a high level of commitment, promotion, and time, or you could let an established site pay you to post on its domain. While starting your own site can be correct with the proper resources, goals, and perspective, many of us would be better served to just take the sure thing of an established site providing a platform and paycheck. Or maybe—and this is purely hypothetical, mind you—you’re in the top eight of a major Grand Prix and are faced with the choice of a Burst Lightning for your red-white aggro deck or a foil Tarmogoyf for your sideboard (and wallet). Do you take the common that adds some (likely small) number of percentage points to your chances of winning the event, or do you take the sure thing of several hundred dollars (while still having the chance to win the event)? I know what I would do (it’s the one that involves taking the sure thing). I also know that I can respect the other viewpoint without agreeing with it. What I cannot respect is personal attacks on someone who sees things the opposite way, or takes an action with which you don’t agree. Once personal attacks enter the equation, that causes the attacker to lose any sense of respectability and probably a bunch of Twitter followers. Hypothetically. And If There’s No Sure Thing? When it comes to speculation, I don’t do it as much as I used to. I used to feel like I needed to find that next hot spec as frequently as possible. Nowadays, I virtually never go looking for specs. If something is worth speculating on, it will be obvious. Yes, it’s possible to dig into cards nobody’s heard of and make a nice call for profit, but that’s not the way I like to do things. I’ll stick with obvious calls like Tasigur and the like, thank you very much. And if there’s no Tasigur-type card out there? I don’t buy. Why bother? If I don’t feel extremely confident in a card, there’s no point in buying in. And since we’ve already established the idea of not being dependent on this extra income, that means there’s no reason to speculate until I do feel extremely confident. I’m interested in your thoughts on this topic. Have you monetized Magic in ways not mentioned above? Share your success story! Have you monetized another, non-Magic hobby? I’d love to hear about it. And how many of you have turned a monetized hobby into a career? Did it ruin it for you? Let us know! Previous PostIn Modern Masters’ WakeNext PostUNLOCKED PROTRADER: Is Modern Masters 2015 Bottoming Out? Hey Danny, I actually do quite a few things to make extra “hobby money” that take little effort or can be done while doing other stuff. Good news is, if I can refer people to do the same stuff, I can get even more money. It sounds shady, but I used it to pay for lifetime PROTRADER and to play MTG for free essentially. wow… seriously? If you do a job you dont love it, then you should change that. Great Article! Somehow I end up monetizing most of my hobbies. It just makes sense to try and get some extra value out of all the time I spend researching/playing them. Video Games for example. I don’t know if people are familiar with Diablo 3 but it had a Real Money Auction House (RMAH) where people could sell digital “items” they found playing the game. I was shocked that people would pay real money for this crap, but I hopped on board and sold some kind of ring that dropped for $67… Some guy basically reimbursed me for my copy of the game… Whoever bought that ring was probably willing to pay around $1,000 to have the “Best” chance possible at being the “Best”… I was happy to provide them with that experience and value-wise, I got the game for free because of it. Win-Win. And while that guy is Playing his Top 8 $1,000 deck… Speculators are already looking up MTGO results trying to figure out which decks beat his deck so that they can predict the upcoming “spike” that comes out of “nowhere”… Lol… Good Times. Everyone has different skill sets I guess. When I saw the article title I was going this was going to be something about the “business” side of buying and selling cards, like what to track, tax implications, accounting, etc. If I wanted to be able to deduct some of my mtgfinance expenses from my income, what’s the line for that and benefits. Can any of you fantastic writers write something about that?